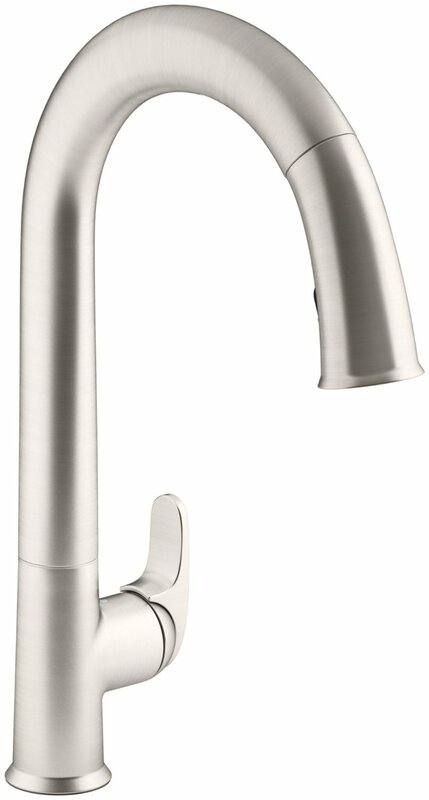 If you like the classic height of a gooseneck faucet but wish to avoid its shape – the Kohler Purist collection is for you. The Kohler K 7505 CP resembles a lamppost and you can choose one of three scratch-resistant finishes to be completely satisfied. 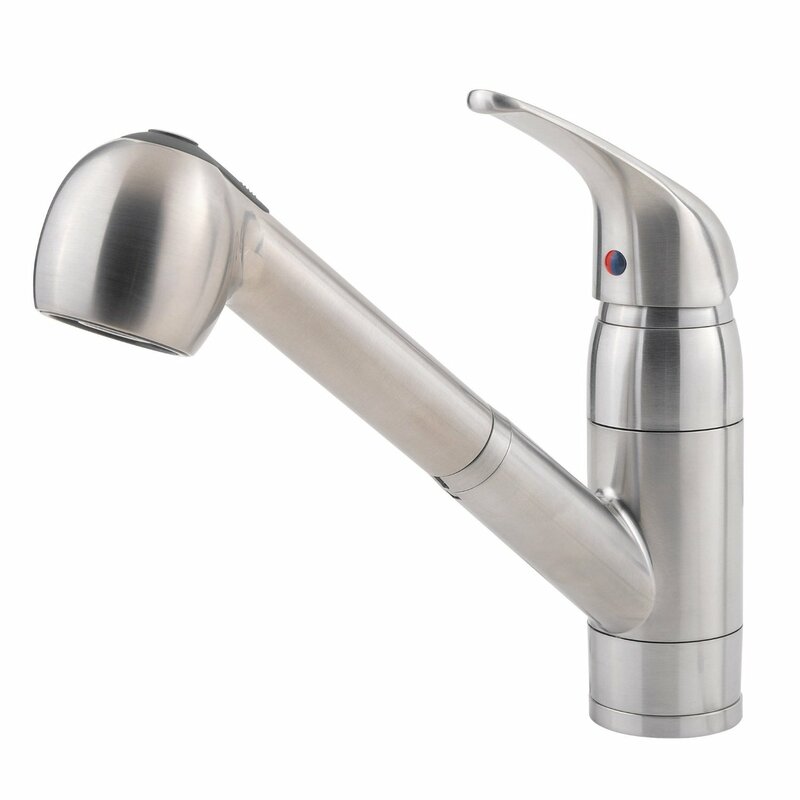 The spout boasts with 360° rotation, which gives you maximum space for your kitchen chores. The MRSP of this model is about $490, but you can save up to 25% on Amazon throught our special link below. This high-priced model has a number of incredible features. 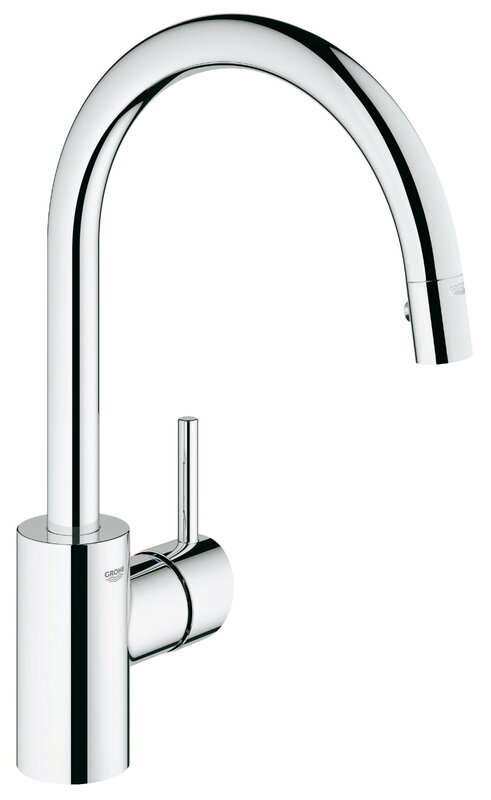 You can choose from four finishes: polished chrome, vibrant stainless, vibrant polished nickel and gorgeous matte black. The spray wand is equipped with three exotic functions: regular spray, laminar flow and a pause setting. The Kohler’s Promotion system offers a hassle-free spray hose movement. A nylon hose supplemented with a durable ball joint which will never work against its owner. 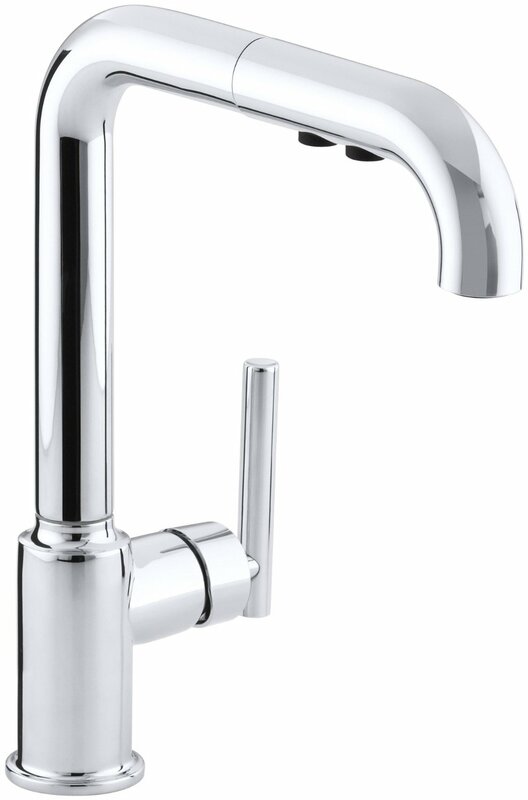 The flow rate of the Kohler K-7505 is 1,8 gpm, thus the faucet is still water conserving and will operate in all households. 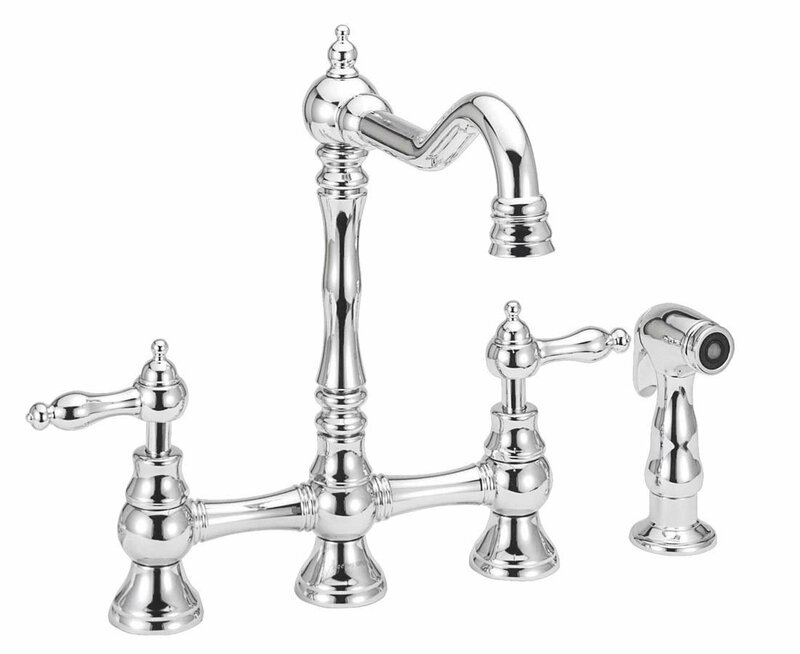 All faucets of the Kohler Purist collection are user-friendly and ergonomic. You can get all your dishes and pans done in a snap with K-7505. The tree-mode functionality provides a quickly changeover between the modes. The pause button stops the water flow immediately thereby offering additional water saving characteristic to the model. The buttons are rubber and you can touch them with wet soapy hands. Lifetime limited warranty acknowledges the high quality of the product. 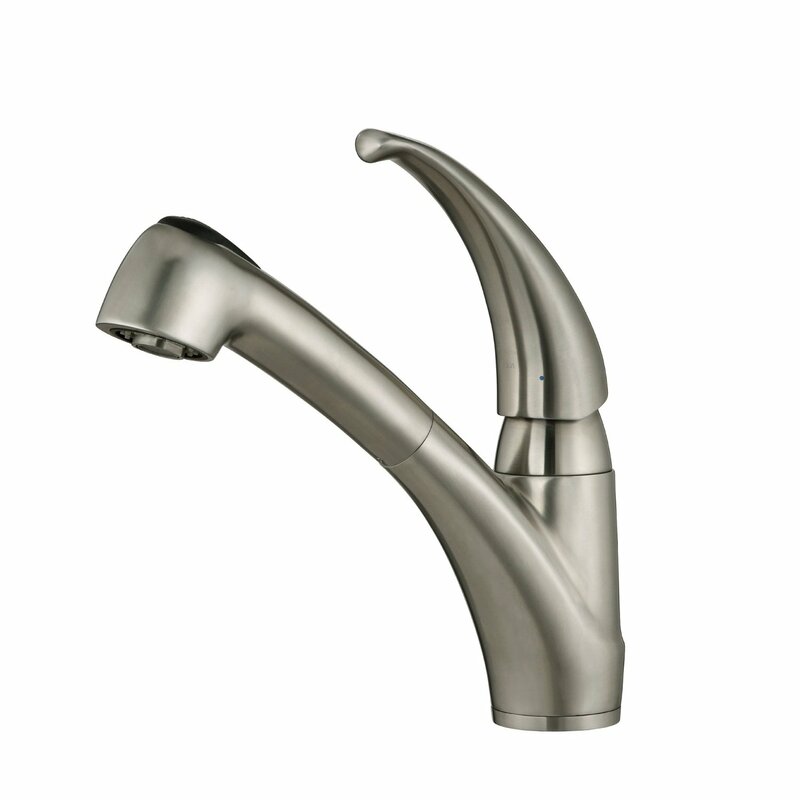 The Kohler kitchen faucet K 7505 weighs only 5 pounds though it is made of brass. It takes very little place and all you should do is to make sure that there is enough space for manipulations with the side handle. 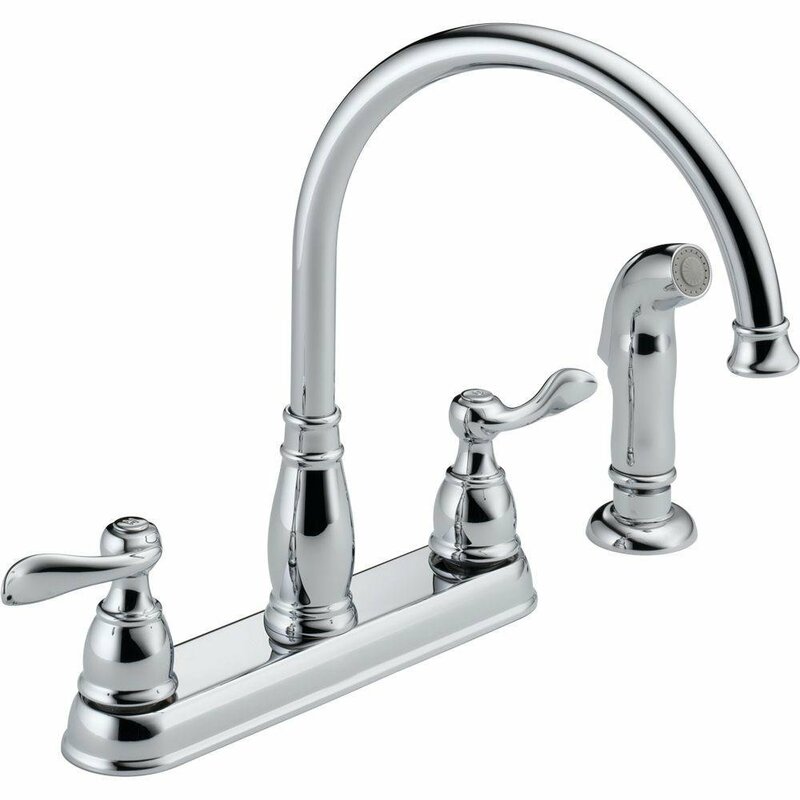 The main advantage of K-7505 Kohler is certainly the ease of dishwashing and maintenance. All the grease and dirt can be removed from the sink and dishes with just a few seconds of spray flow. Your routine chores become simple and you shouldn’t spend extra time for cleaning your faucet from build-up. The only drawback which was denoted by customers is the length of the hose. Some consumers wish it were longer to cope with more kitchen activities outside the sink. Q: Is the vibrant polished nickel similar to brushed nickel finish? Isn’t it shiny? A: The Kohler’s vibrant polished nickel is shiny. Q: Is the spray wand locked into its place itself or it is necessary to hold the button? 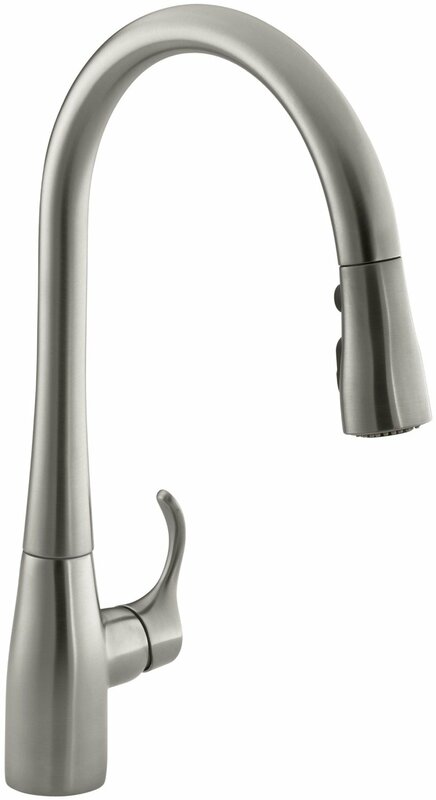 A: The button makes a spray head slide into the spout. Q: What is the angle of the lever travel while controlling watervolume and temperature? A: The K-7505 handle travels 45° from the upright position. Q: Can I purchase an escutcheon for this model? 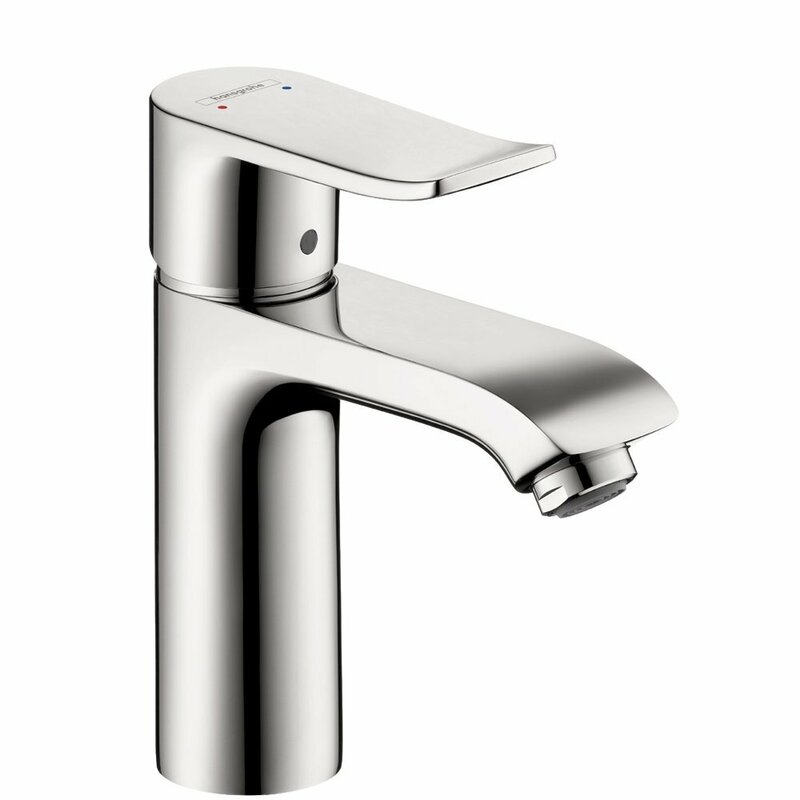 A: Regrettably, there is no escutcheon available for K-7505. Q: What material is the spray wand made of? A: The spray head is made of a durable plastic. It is light and you won’t burn your hands with it when the water is hot. 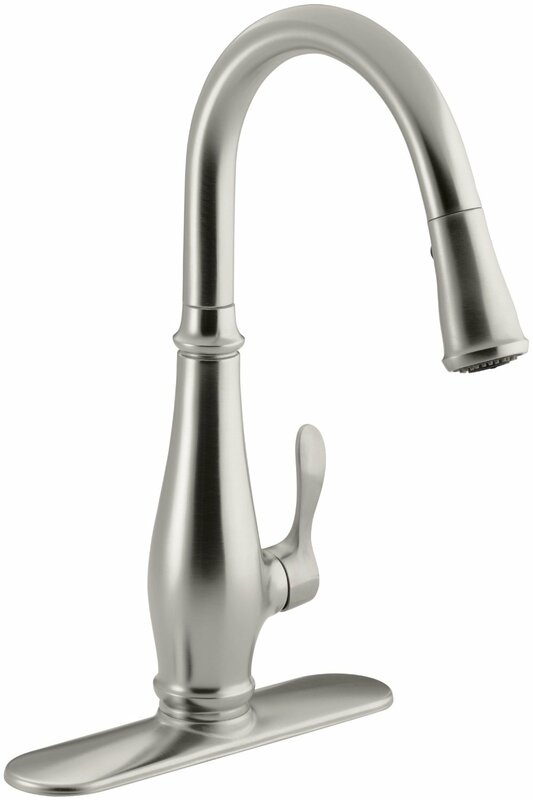 The Kohler K-7505 CP faucet is worthy to be recommended. 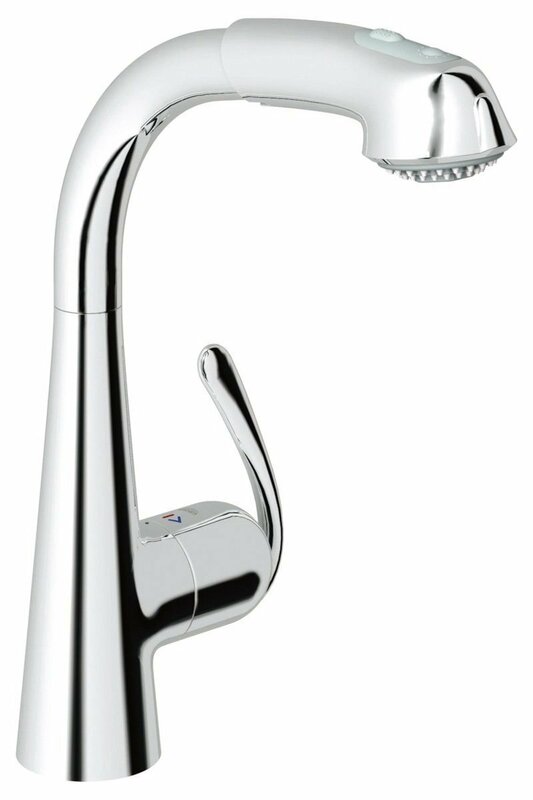 It is durable, user-friendly, water conserving and has numerous positive features. If you are tired of traditional designs, the shape of this Purist model will certainly fascinate you. 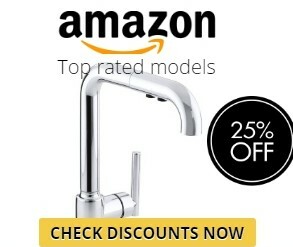 This water tap will serve you for decades without any repairs and problems.